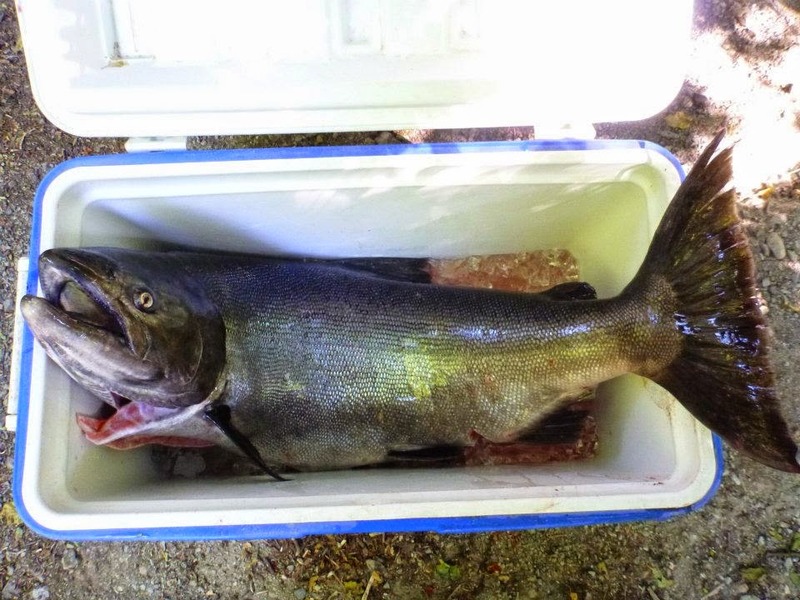 The Klamath River Fishing is off to a good start this fall. We have been seeing allot of fish all the way up in Happy Camp. We went 3 for 6 today on the salmon using floats and pro-cured eggs. The Steelhead are rising and the Kings jumping all over the place. This run is a few weeks ahead of schedule and with the commercial quota already meet and the subsistence season not to far behind the sport fisherman should have a great year on the Klamath River. We are booking up fast and have only a few dates left for our Klamath season so give us a call if you want to rip lips. Klamath River fishing is starting to pick up, the last few weeks the jacks and the steelhead have been piling in. This week the guides on the lower river have been seeing 2 to 4 adult KINGS per boat. This beast was taken on some pro-cured eggs. Despite the low water conditions fish have been moving in and hanging out near the creeks and riffles.